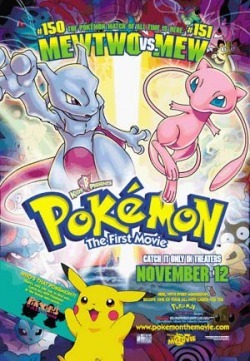 A scientist genetically clones creatures from the Pokemon named Mew, creating Mewtwo, which begins cloning other Pokemons resulting in disastrous circumstances. The film ends with the message that fighting is futile and wrong. adorable Pikachu and his pint-size sidekicks, the Pichu brothers, get lost in a big city. It's part ''Curious George,'' part ''Home Alone 2.'' Unfortunately, it's also only part of the movie -- a 22-minute featurette. 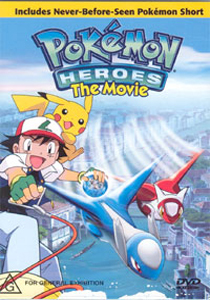 The more protracted main story line in Pokémon 3: The Movie finds pocket-monster trainer Ash battling to rescue his mother from a crystallized fortress. 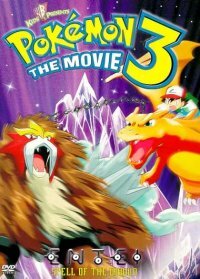 The plot quickly devolves into a sense-numbing succession of showdowns between such mutant creatures as the lionish Entei and the dragonian Charizard. Only once every thousand years when the Millennium Comet is visible in the night sky does Jirachi awaken from his slumber. And when he awakens this time at a traveling circus, he's got a whole new set of friends by his side: Ash, Pikachu, Max, and the whole gang. 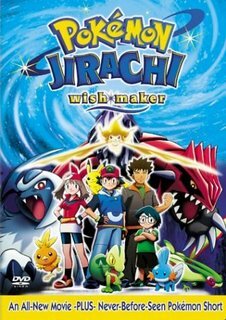 But soon, they must rescue Jirachi from the clutches of an evil magician and former scientist named Butler who wants to harness Jirachi's incredible energy to bring to life one of the most legendary and powerful Pokemon of all! A mysterious meteorite is hurtling towards the earth, while another is heading toward the planet Origin. During the entry of the meteorite into the atmosphere, it almost wounds Rayquaza, the legendary sky guardian and the strongest dragon ever seen in the world. The meteorite crashes into a polar zone, revealing two egg-shaped sparkling objects. Just after the purple egg regenerates into a Deoxys and picks up its green companion (which has not regenerated), Rayquaza descends from the ozone layer to battle what it believes to be an invader. A battle ensues, destroying a nearby research site and traumatizing a young boy, scared by a stampede of Spheal, Sealeo, and Walrein. The purple Deoxys traps Rayquaza and is about to beat it, but it is distracted by some electrical charges coming from broken computers, giving Rayquaza a chance to escape and obliterate the purple Deoxys with its Hyper Beam. 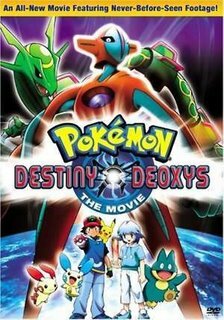 The purple Deoxys goes back to egg form and falls into the sea, while some researchers take the green egg with them. Deep beneath the surface, the injured Deoxys regenerates and prepares for the day it can search for its friend. The green egg somehow appears on Origin, somewhere in Hoenn. 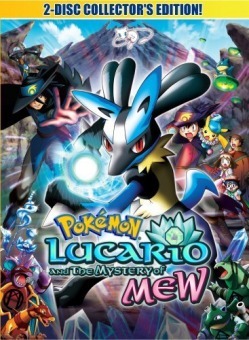 Lucario and the Mystery of Mew, the eighth Pokémon movie, ranks as one of the best features in this popular franchise. Director Kunihiko Yuyama and writer Hideki Sonoda sensibly keep the adventures and threats to a scale that's appropriate for the characters. 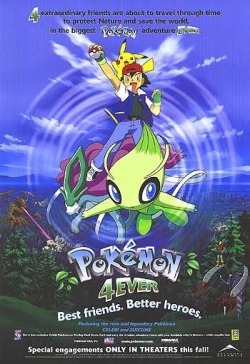 (The first movies put the world at risk, and while Ash Ketchum is a good kid, he's not someone who can credibly save the planet.) Ash, Brock, Max, and May journey to Cameron Palace for a tournament that celebrates the valor of Prince Aaron, who saved the realm from destruction 1,000 years ago. Ash and Pikachu win, but the mischievous Mew kidnaps Pikachu, whom he's befriended. Prince Aaron's Pokémon companion Lucario awakens from the victor's staff to lead Ash and the gang to the Tree of Beginning, a mountain that is also a living entity. Ash risks his life to rescue Pikachu, proving the depth of their friendship to Lucario. 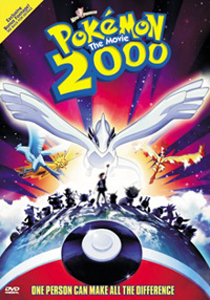 The film includes lots of CG effects, most of which work well with the drawn animation: the earlier Pokémon films tended to look like two different movies spliced together. Ash and Pikachu meet Lizabeth, a descendant of the People of the Water, and learn about the legend. 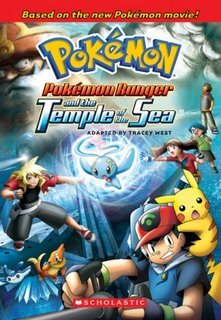 They also meet Jackie, a Pokémon Ranger on a secret mission to protect a Manaphy egg (Manaphy is mysteriously known as The Prince of the Sea) and find the Sea Temple as well. The Phantom plans to obtain the Sea Crown and take over the world - but first he needs the Manaphy egg. Now Lizabeth and Ash must help Jackie protect the egg and stop the nefarious pirate! What is the Sea Crown? How does Manaphy's mysterious power connect it to the Sea Temple? Can Ash help Jackie complete his mission? 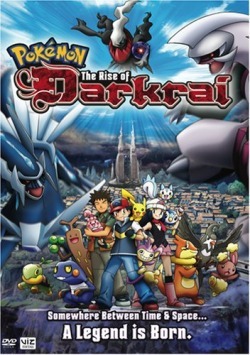 IN THIS action packed movie pilkia and dialga are fighting which is destroying the town darkrai comes to save the town and everyone thinks hes bad and the only other way to save the town is to play the special song playe by the girl with the leaf on the town bell can ash save the town or wil the town be destroyed?